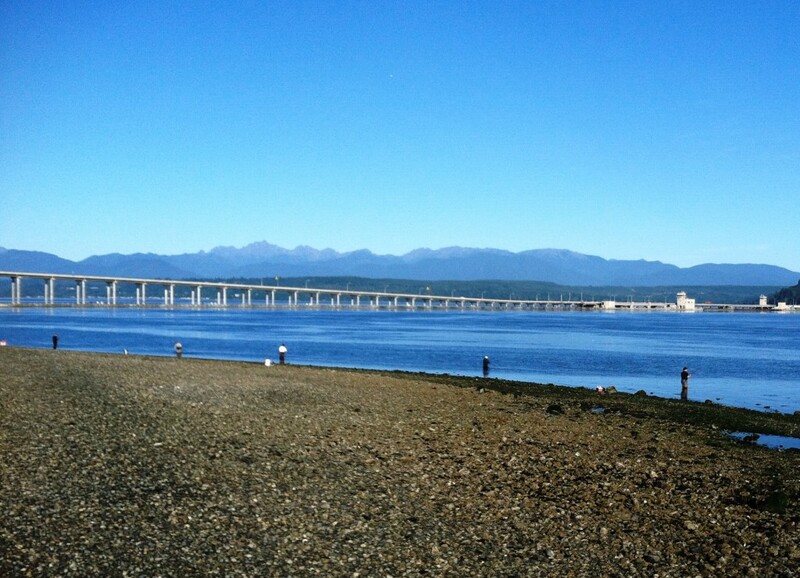 Salsbury point is a fairly well-known bank fishing spot for Salmon in Kitsap County area. Although Salsbury is one of the better Coho fisheries in the state, you may still catch the occasional King or Pink. Silvers feed here until they make they begin their final journey to the spawning grounds. These fish tend to be very aggressive and it’s not uncommon to have multiple hookups when the school swims by. Herring is the most productive bait to use, but Anglers can have success with Brads, buzz bombs and spinners when the fish are feeding. The love to cut plug or whole herring. Best time to be there is during the early morning bit from the crack of dawn until about 4 hours after sun up. The evening bit is generally not as productive but best times are about 4 hours before sundown until dark. High tides are fruitful as well. 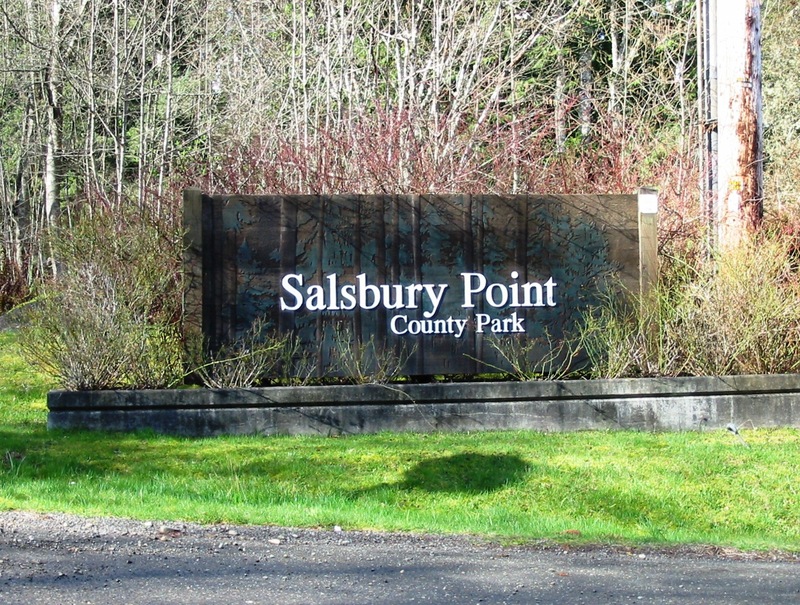 Salsbury Point fishing access is on park grounds only. Be sure not to trespass on the adjoining private property, if the local sheriff catches you wondering to far off park grounds, he has no problems dishing out fines. 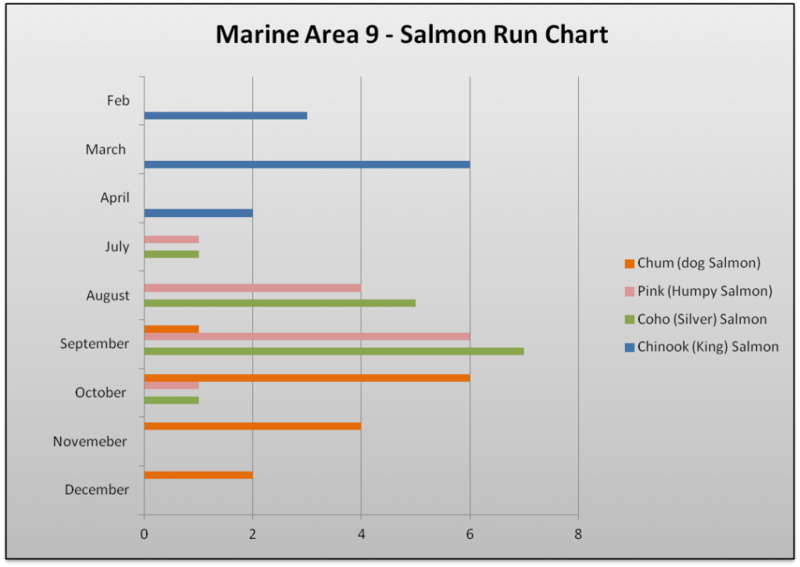 Salmon Run Information provided by WDFW and Washington State Hatcheries. The Silvers run hot and heavy up and down this point starting in July and feed here until the begin to spawn in August. This Lunker location can be productive for Coho up to September before the run finally dies off. Salsbury Point, near Port Gamble and Hood Canal bridge. This fishery generally allows 2 Coho per day, Min size of 12″ in length. Cut Plug Herring, Buzzbombs, Super bait, and spinners. Cut plug is by far the most productive at this location, Next Superbait then buzzbombs and lastly Spinners. Stacked! Over the years this place has become really popular. Generally anglers are stacked about 6 feet apart when the run is hot. Get there early to secure your spot or you may get pinched out. Lunker Location Fishing maps are only available to Lunkersguide.com members. Sign up today and get access to all our fishing maps and get access to our free Lunker Alerts! text message fishing reports. With a Lunker’s guide membership you’ll be well on your way to catching more lunkers!